Many homeowners today are having a custom patio designs tailored to fit their outdoor lifestyle. 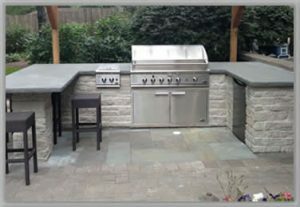 At Metric Concrete Construction & Design Inc. our patio and outdoor kitchen designs include patio shape, patterns, grill stations, fireplaces, etc. Weather you like to grill just for your family or entertain large groups we can design a outdoor custom patio that is beautiful, affordable, functional and will exceed your expectations.